This presentation examines a few of the misguided aphorisms of learning and misconceptions about the brain from popular culture -especially those that seem to persist even after neuroscience shows evidence to the contrary. These are replaced by the cognitive and learning science supporting Bloom’s Taxonomy as the key to creating effecting learning and training experiences. There are a whole number of urban legends about learning and neuroscience that just refuse to die, e.g., Left Brain vs. Right Brain personality traits and learning, Learning must occur during certain periods of development, we only use 10% of our brain, perceptions about fixed learning styles, etc. We'll dive into some of these issues and discover fact from fiction. James Bennett has been a leader and innovator in education technology for almost two decades. He has published papers on education reform through technology, and has authored several college textbooks on media design. 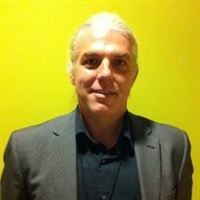 As a professional educator, he has managed teams of instructional designers for 36 colleges and served as a subject matter expert in learning for the corporate sector. He is also the lead national instructor on adaptive learning for the Association of Talent Development (ATD). His presentations at professional education conferences have included topics such as innovations in education technology and the cognitive neuroscience of learning. In the area of adaptive learning, James has participated in the single largest rollout of adaptive learning systems in education, developed and implemented a successful pilot for integrating adaptive and teacher-led instruction, and initiated the concept of multicourse learning path, and introduced them to two of the largest adaptive products on the market. In the adaptive learning courses implemented under his guidance, he has seen a documented increase of 20 percent in learner performance and mastery of competencies.